Home STATECRAFT AMIDST THE STORM! As the New Year dawns Sri Lankans will reflect on the political turmoil that dominated headlines in the latter quarter of 2018 and hope that there will be more stability this year. However, political storms gathering momentum within and between the country’s major political parties suggest that this is an unlikely prospect in 2019. While all major parties- the United National Party (UNP), the Sri Lanka Freedom Party (SLFP) and the Sri Lanka Podujana Peramuna (SLPP)-have issues that they have to grapple with, at present the angst is most felt in the SLFP. That is because of President Maithripala Sirisena’s decision to align with the SLPP for the next national elections, due in 2020. President Sirisena announced his decision prior to his recent departure to Thailand on a private visit and had called for the resignation of all SLFP electoral organisers. Some SLFPers are unhappy with this development, particularly because the details of an electoral arrangement with the SLPP have yet to be worked out and they fear that they could be marginalised when this occurs. This group feels that they have been treated unfairly, particularly because they pledged their loyalty to the President when he was under attack from the SLPP and its parliamentary faction, the Joint Opposition (JO), during the three and half years of the government of national unity. There has been a rapprochement of sorts between the hierarchies of the SLFP and the JO during the recent constitutional crisis with President Sirisena’s decision to appoint Mahinda Rajapaksa as Prime Minister. However, this has not permeated to the electoral level, where electoral organisers are vying for the same vote base which has been traditionally SLFP-oriented. Among the group of disgruntled SLFPers are those who lost their ministerial portfolios when President Sirisena, as leader of the United Peoples’ Freedom Alliance (UPFA), decided to quit the government of national unity. They wish to continue in government alongside the United National Front (UNF). Some of them prefer to return to the SLFP for the next elections. Others have indicated that they could even join the UNF. Thus, it will be a challenging task for President Sirisena to appease the competing demands of all these parliamentarians who have been loyal to him when he required their support to secure a majority for the government of national unity. The prospect of a rebellion by some of these MPs cannot be ruled out. Although the SLPP saw their public image take a severe beating during the recent constitutional crisis which ended with Rajapaksa being compelled to resign following a Supreme Court ruling, the party still believes it has the upper hand, in negotiating with the SLFP. This is based on its performance at the Local Government elections less than a year ago, in February 2018. In that election, the SLPP emerged victorious in most local councils in the country except in the North and East and the SLFP came a distant third with only about 12 per cent of the vote and that too after an alliance with the Ceylon Workers’ Congress. Therefore, it intends to negotiate from a position of strength in discussions with the SLFP regarding the next national elections. Infact, there is a group within the SLPP which is against the party aligning with the SLFP at all and wish to contest on their own. 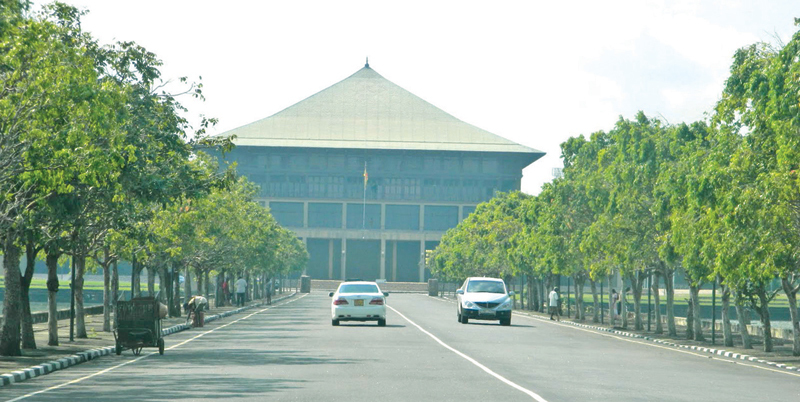 Any link with the SLFP could occur after the polls, they argue. They contend that the SLFP’s support base at the grassroots level has declined to such a low level that it would not be a worthwhile exercise. Some of them, such as the outspoken former Minister Kumara Welgama, argue that regrouping with the SLFP will, in fact, cost the SLPP some votes instead of enhancing it. Compounding what is already a complex political equation is another factor: UPFA stalwarts aligning themselves with the SLPP cannot formally obtain membership of their party. This will make them liable to disqualification. This is why Rajapaksa, who along with his son Namal Rajapaksa previously publicised the fact that they had now joined the SLPP, were quick to issue disclaimers saying they had not formally done so but had only applied for membership. There is also another political reality that both the SLFP and the SLPP must deal with in their efforts to arrive at a compromise. That is the fact that all of the current disagreements between the two parties are focussed on the next general elections when, in fact, it is the presidential elections that are scheduled to be held first. In terms of the constitution, the presidential poll must be held by January 2020, unless called for earlier by President Sirisena, this being extremely unlikely. As per the recent historic Supreme Court determination, general elections cannot be held until after four and a half years of the first session of the current Parliament held on September 1, 2015. Therefore, the earliest this Parliament could be dissolved is on March 1, 2020, unless of course, Parliament decides to dissolve itself by a two-thirds majority which is unlikely. What this means in real terms is that both the SLFP and the SLPP have to deal with the vexed question of a candidate for the presidential election prior to the general election. The main issue is whether the SLPP will be willing to pay the price for President Sirisena’s support by supporting his candidacy at a presidential poll, if indeed he intends to run again for the Presidency. At present though, such a discussion is not even on the agenda with various interest groups within the SLPP promoting different individuals as potential presidential candidates, some even going to the extent to say that Mahinda Rajapaksa could run again despite the 19th Amendment to the Constitution, arguing that it does not apply to him presently as it cannot be applied in retrospect. Meanwhile in the UNP which is now governing on its own steam- albeit with the support of the Tamil National Alliance (TNA) on an issue by issue basis- different concerns are emerging. There has been discontent in the allocation of Cabinet portfolios with parliamentarians such as Range Bandara speaking out about being omitted from the Cabinet. Also complaining is Minister Lakshman Kiriella who is lamenting that he has been divested of most of the institutions under his purview and left with only four relatively unimportant establishments. Kiriella feels he has been dealt with in this manner for spearheading the UNP’s resistance during the recent constitutional crisis. There have also been concerns that although the UNP (and its broader group, the UNF) has to work overtime over the next year to reinvent itself before the next presidential poll, its work will be interfered with. This follows the decision by President Sirisena to retain the Police Department under his purview and the appointment of his representatives to state media institutions. All of this suggests that although the constitutional crisis which rocked the nation in 2018 has officially ended, the seismic shift it generated in the political landscape has brought about repercussions, the tremors of which are being felt presently. While only the next presidential elections can bring about a resolution of these rumblings, in the coming year there will be plenty of storms before the calm.